Former Edsel dealer Jack Pagan owned a number of auto dealerships in Texas, and was involved in racing, including the SCCA. 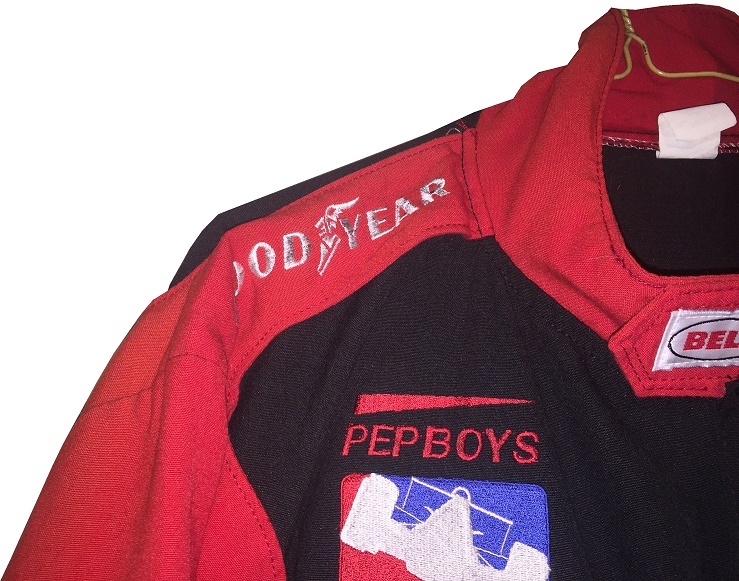 In 1993, he purchased the CART equipment from Kenny Bernstein’s King Racing, and founded Pagan Racing, which raced from 1993 to 1995 in CART, before switching to Indy Racing League competition from 1996 to 2000, when the team went under. During the 1998 season, the car ran a partial schedule in the IRL season, with two drivers, Roberto Guerrero and Stevie Reeves. They scored a top 10 at Charlotte, but didn’t really do much otherwise. In 1999, Jeff Ward took over, and the team had two second place finishes, one at Phoenix and one at the Indy 500. They also had two top 10’s, one at Pikes Peak, and the other at Las Vegas. 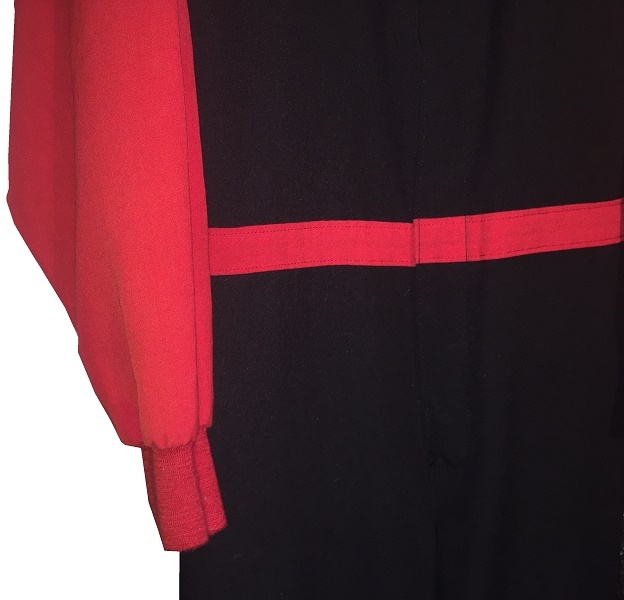 During those seasons, a crew member was issued this Bell single-layer firesuit. 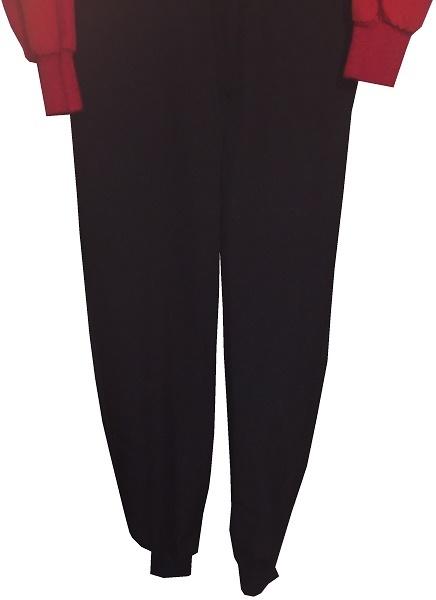 The suit is in good condition, showing light use. 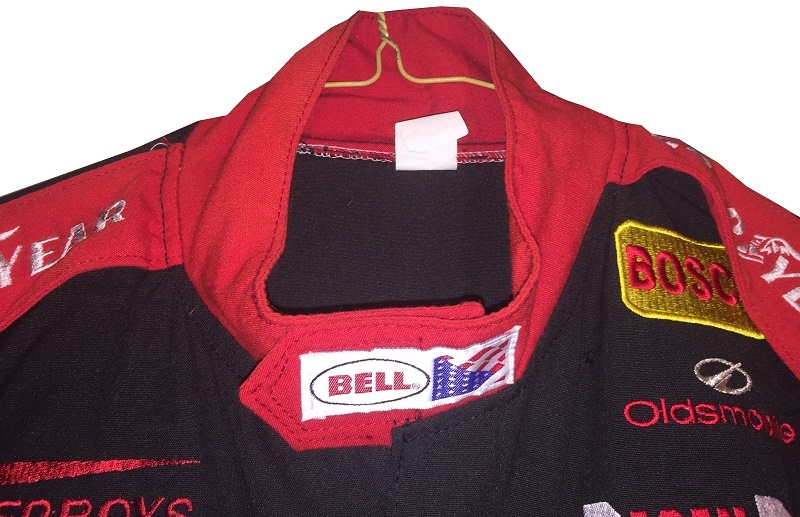 The collar has a Velcro fastening, and there is a BELL logo on the front. 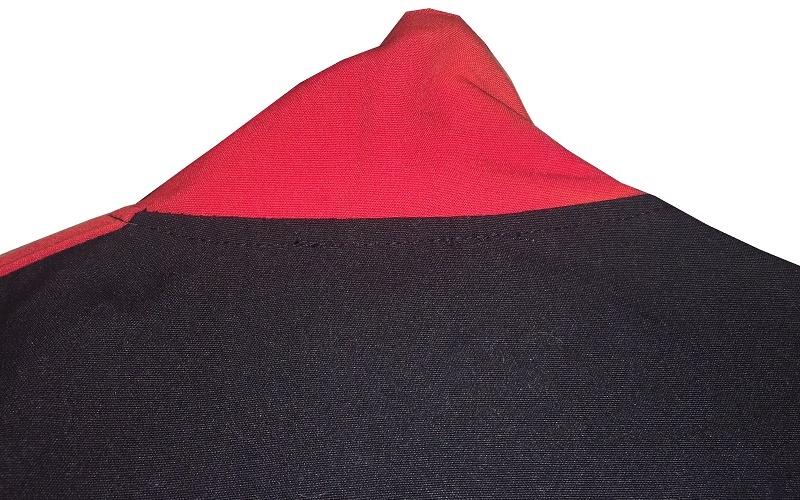 The cowl has a size tag, with washing instructions. There is no warranty label. 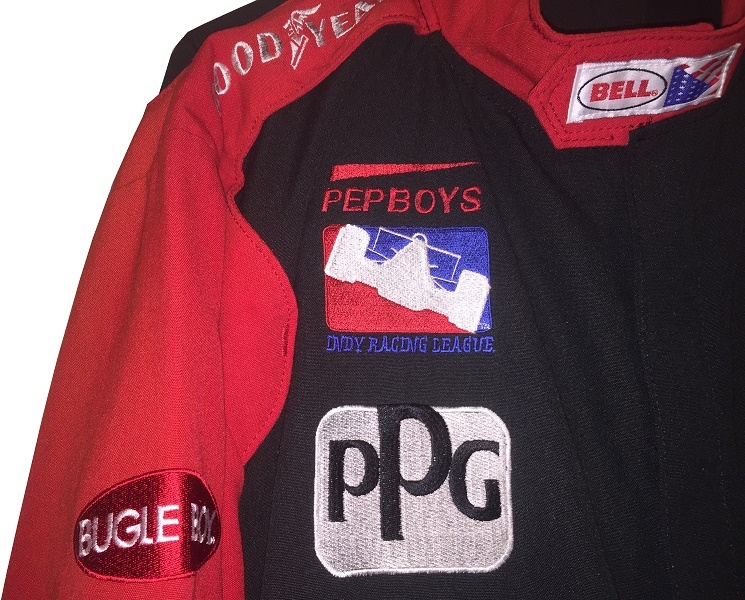 The right chest has PEP BOYS, INDY RACING LEAGUE, and PPG logos embroidered. 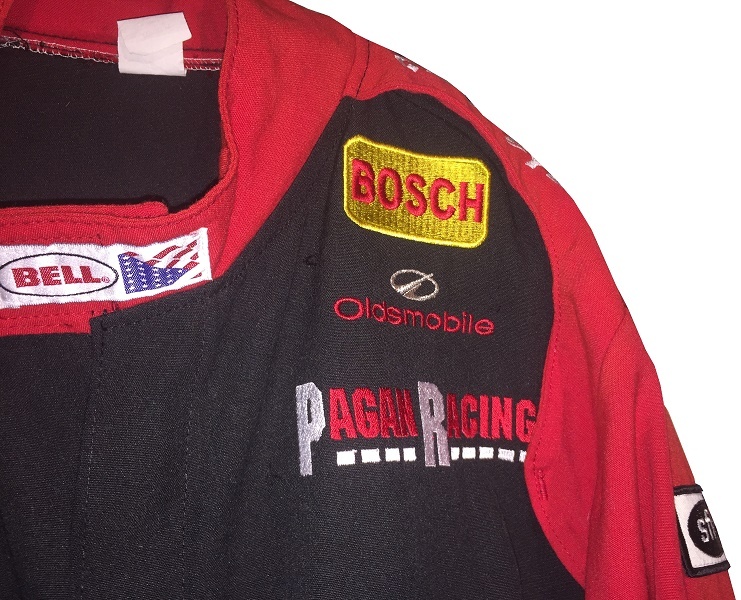 The left chest features BOSCH, OLDSMOBILE, and PAGAN RACING logos embroidered. The front torso is unadorned. 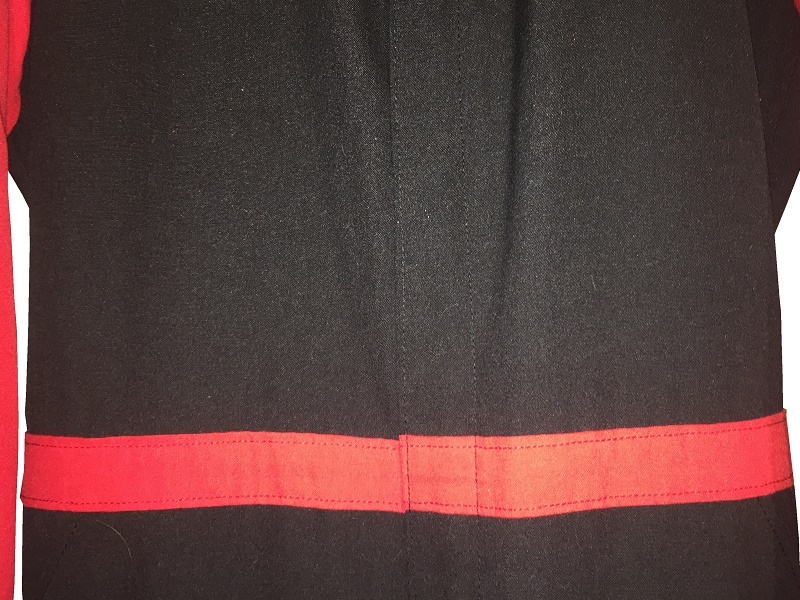 The red belt is unadorned. The legs are unadorned, and have standard cuffs. 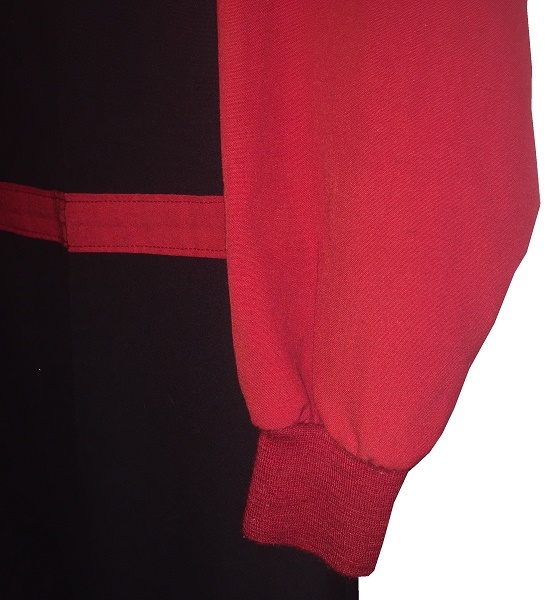 The red shoulder epaulets have GOODYEAR embroidered in white. 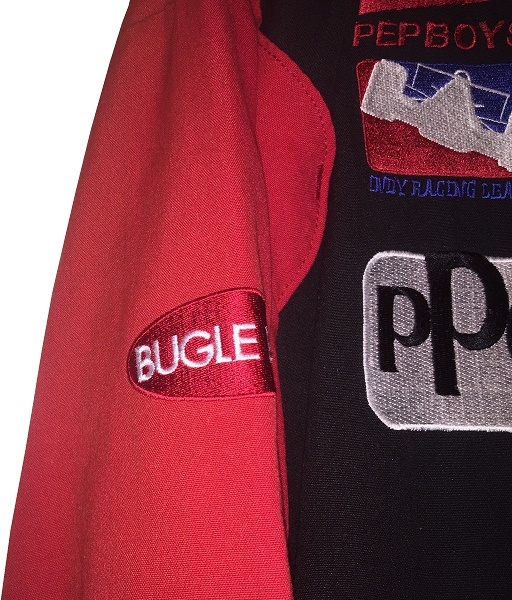 The right sleeve has a BUGLE BOYS logo embroidered, and nothing in television position. 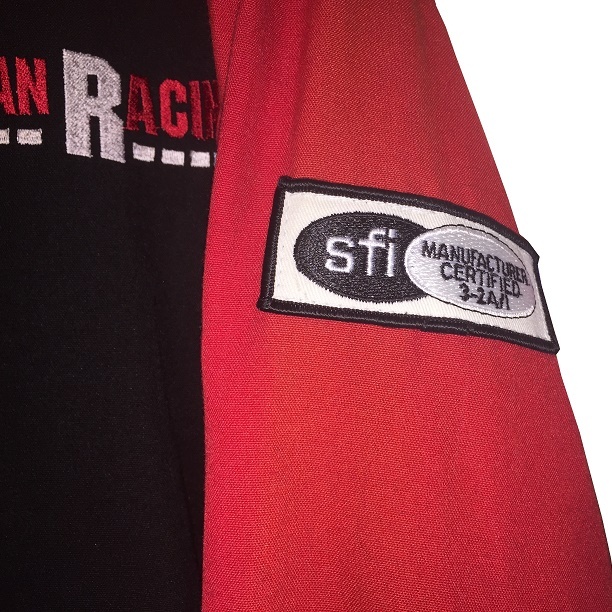 The left sleeve has the SFI 3-2A/1 certification, and nothing in television position. The back doesn’t show any wear. The back of the neck is unadorned. 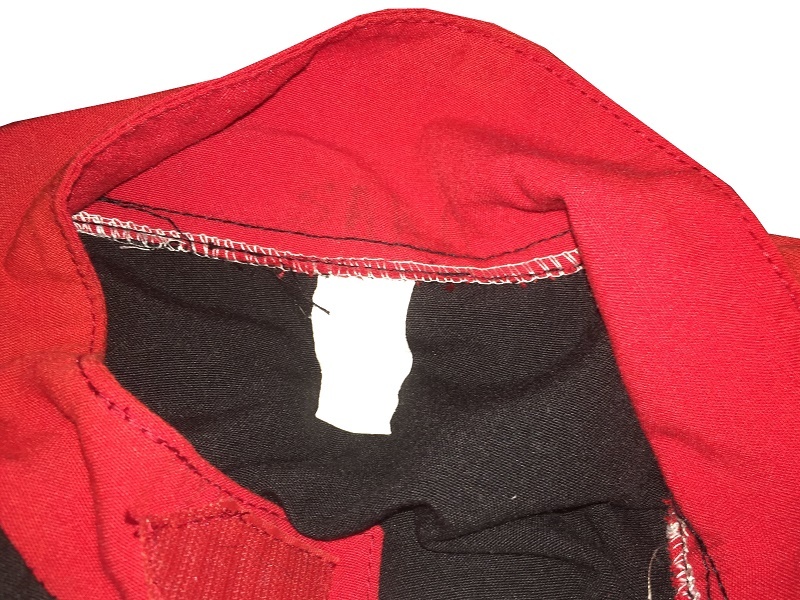 The back torso has a large BELL logo embroidered. Pagan Racing was an unintentional victim of The Split, which divided and destroyed the sport of IndyCar in the 1990’s. The sport never really recovered, though the racing now is much better. But the fact that the sport had an unwinnable civil war for 20 years is really depressing. 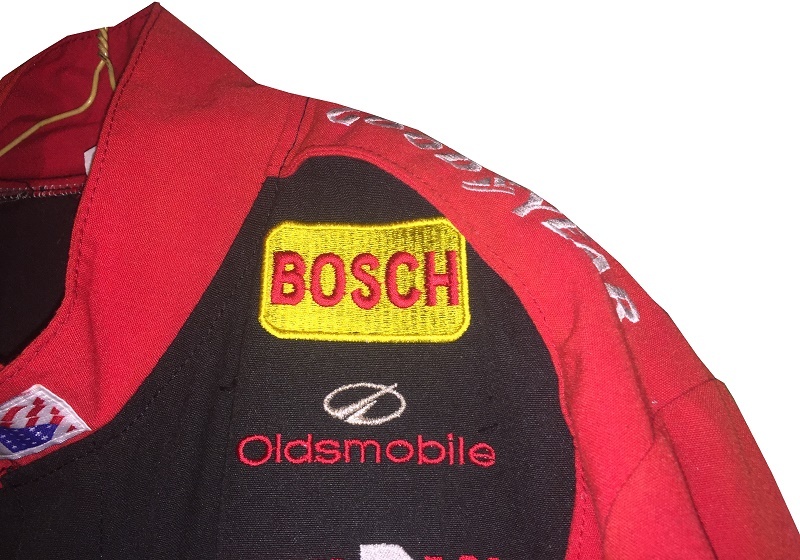 Next Week, another Truck Series Driver Suit.